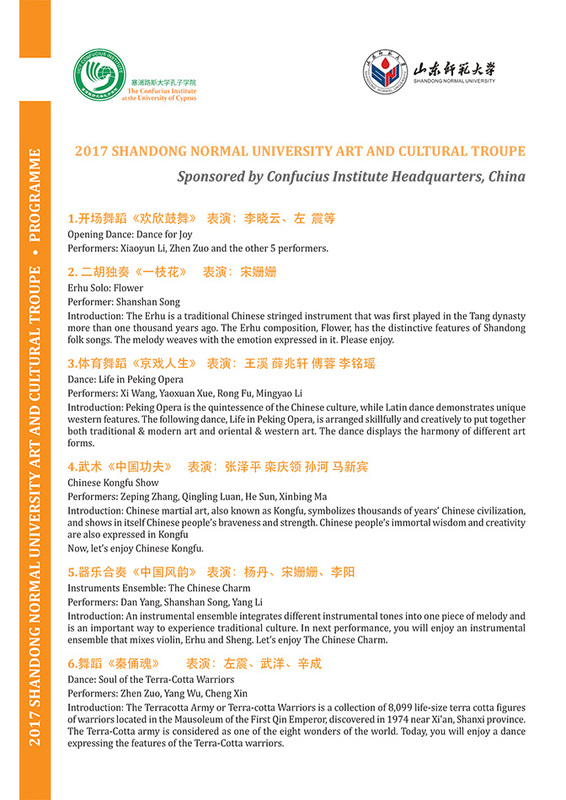 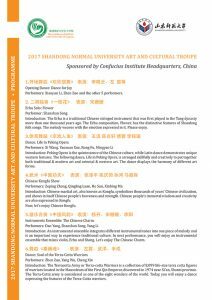 Για πρώτη φορά στην Κύπρο το “Shandong Normal University Art and Cultural Troupe”. 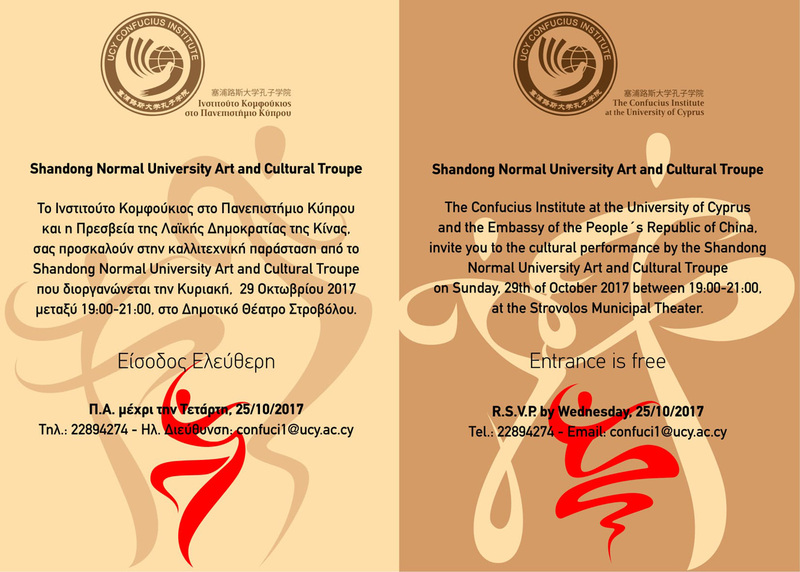 Το Ινστιτούτο Κομφούκιος στο Πανεπιστήμιο Κύπρου και η Πρεσβεία της Λαϊκής Δημοκρατίας της Κίνας, σας προσκαλούν στην καλλιτεχνική παράσταση από το Shandong Normal University Art and Cultural Troupe που διοργανώνεται την Κυριακή, 29 Οκτωβρίου 2017, μεταξύ 19:00 – 21:00, στο Δημοτικό Θέατρο Στροβόλου. 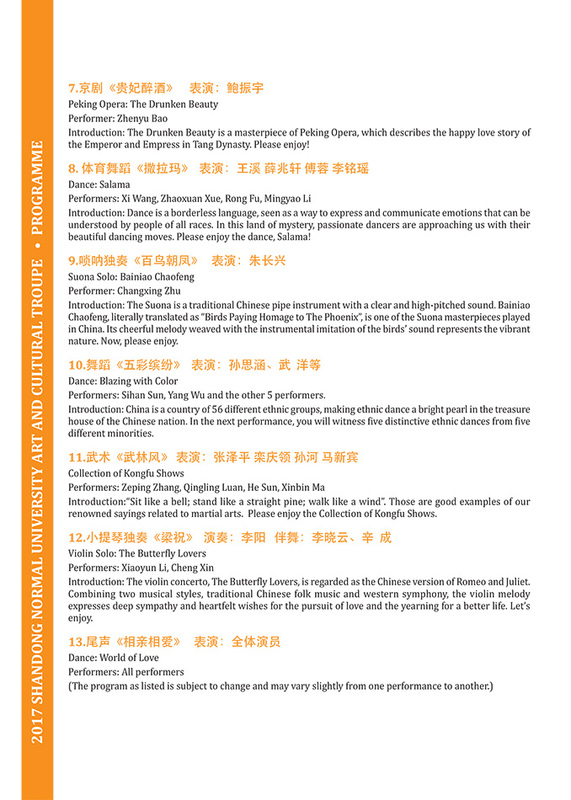 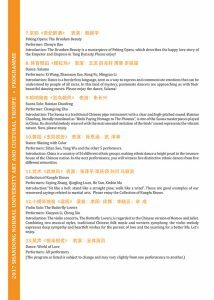 The “Shandong Normal University Art and Cultural Troupe” for the first time in Cyprus. 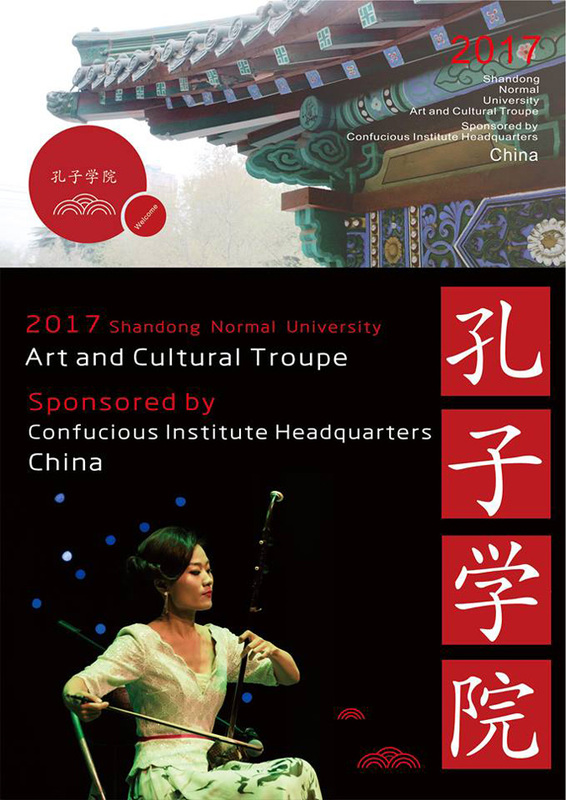 The Confucius Institute at the University of Cyprus and the Embassy of the People’s Republic of China, invite you to the cultural performance by the Shandong Normal University Art and Cultural Troupe on Sunday, 29th of October 2017 between 19:00 – 21:00, at the Strovolos Municipal Theater.